Symbolic 40-peso-to-dollar barrier passed in trading, despite government's attempts to steady the ship. 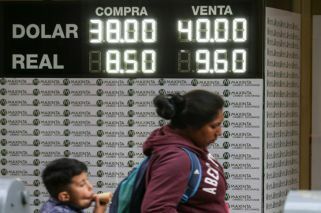 Argentina's beleaguered currency passed the symbolic '40' barrier on Thursday, reaching a height of more than 40 pesos to the US dollar amid a crisis in investor confidence. 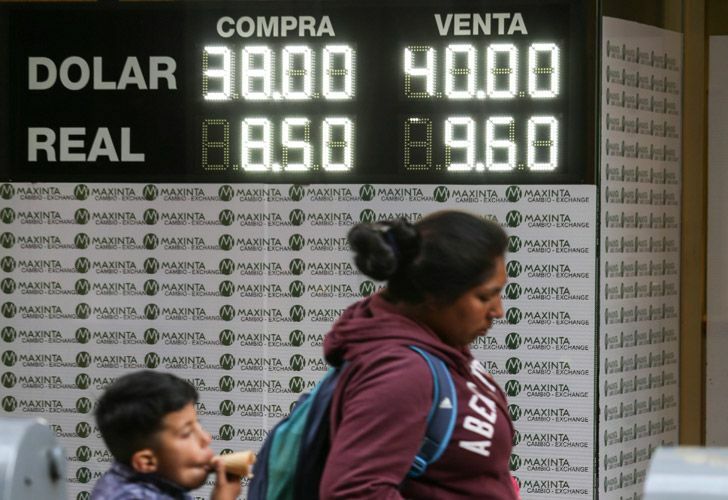 The peso lost 2.88 percent to close at 40.24 – down 6.14 percent for the week – as President Mauricio Macri's administration battles to stave off an economic crisis, with inflation predicted to surpass 40 percent for 2018. The peso has been hit badly by falling market confidence since April, despite the government's attempts to steady the ship. Street protests have intensified as the peso has lost more than half of its value against the US dollar since the start of the year. 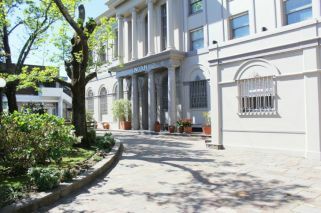 But that proved a false dawn: even the agreement of a US$50-billion loan from the International Monetary Fund in June has failed to boost the currency. And austerity measures, including raking up interest rates to a world-high 60 percent, have not appeased nervous investors.